Halquist to pay for new fields at Hamilton - Hamilton School District. 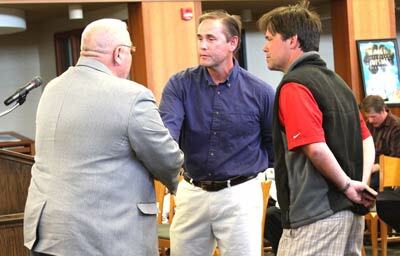 The Halquist Stone Company gave the Hamilton School Board some good news at its May 7 meeting. Fourth generation owners of the company, Bill and Tom Halquist, announced that they would donate the construction and equipment for youth soccer and softball fields adjacent to Hamilton High School. When open in summer of 2014, the fields will be christened the Halquist Youth Complex. Halquist Vice President Tom Halquist told the board he and his brother wanted to find a way to continue contributing to the community after Dozer Day ended in 2009. The company created the one-day fundraising event, but discontinued it due to increased insurance and stricter mining safety regulations. Dozer Day raised nearly $1 million over the course of 10 years. The company owners wanted to invest in the community’s youth and determined that addressing the shortage of ball fields in the area would support students and the community. 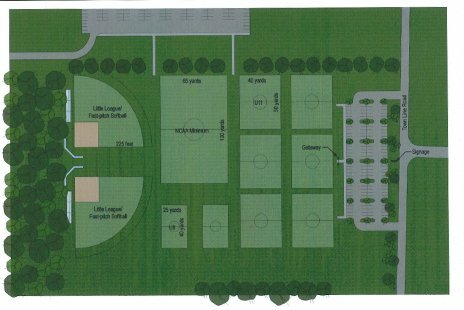 Located south of Hamilton High School off of Town Line and Silver Spring roads in Lisbon, the new Halquist Youth Complex will provide access to six 50-yard long soccer fields, two 40-yard long soccer fields and one NCAA regulation size-soccer field. In addition, two Little League-sized fastpitch softball fields will be created. The land is owned by the district. According to Halquist, the donation will exceed $200,000 towards material, equipment and labor expenses. The Halquist Stone Company was founded in 1929 by Swedish immigrant John Halquist. In addition to the Wisconsin quarries, operations include an 8,000 square foot designer showroom in Sussex and a retail yard in Franklin.